Why Did Vatican II Open on October 11? 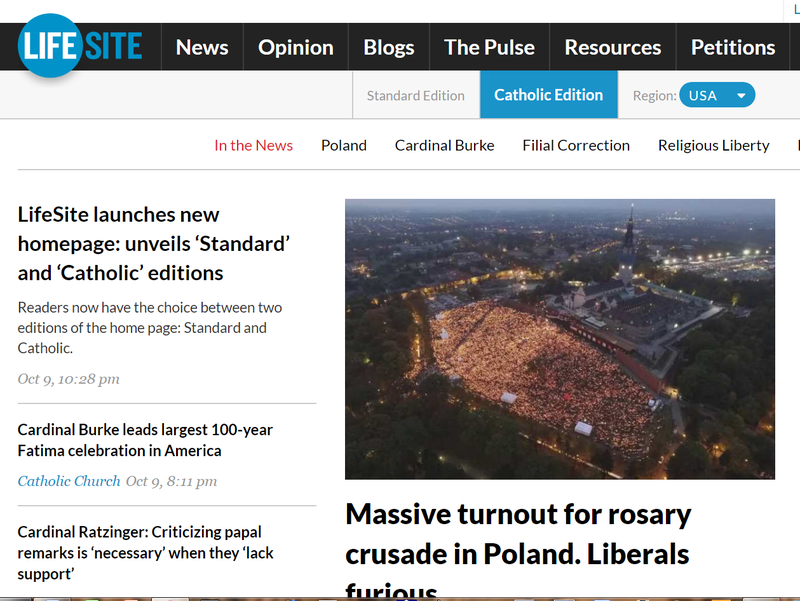 Yesterday, LifeSite News launched their new Catholic Edition, which promises to be a marvelous resource. LifeSite has engaged me to contribute a weekly column on Catholic life, liturgy, culture, art, beauty, philosophy — well, pretty much anything that is pertinent to the Faith in our times. I look forward to this work, as I admire the courageous coverage and commentary LifeSite offers. My column will usually appear on Tuesday. When people in the world hear the expression “pro-life,” they typically think of one and only one issue: abortion. When Christians hear “pro-life,” they might expand the definition to those who are opposed to the murder of human beings at all stages, whether in the womb, in infancy, or on the deathbed. When Catholics hear the expression, a further nuance should be present: those who take into account not only the worst abuses of human freedom but also the more subtle causes of the anti-life mentality, such as sexual hedonism, feminism, contraception, the divorce mentality, and parent absenteeism. All of this is true as far as it goes. But there is more to being pro-life than this. The roots go deeper and the branches spread further. [...] We cannot realize our human potential or be mature Christians unless we cultivate our intellectual life in the great disciplines, from literature to philosophy, from the empirical sciences to the queen of all sciences, sacred theology. To be far-seeingly pro-life is to be pro-intellectual life. [...] Without the inspiration of a true artistic vision, we grow weary on our journey, we cannot see our way forward. It is like abolishing the sun, the moon, and the stars. To be fully pro-life, then, is to be pro-cultural life. A good culture emerges from, creatively celebrates, and dynamically sustains the love of human life. The highest activity of the human person is to turn his mind and heart to God, His first beginning and last end, and to worship Him: “We praise you, we bless you, we adore you, we glorify you, we give you thanks for your great glory,” as we sing in the ancient hymn of the Gloria. ... That is why to be pro-life in its most profound sense is to be pro-liturgical life. ... Without the Church’s liturgy, we fail to grasp the infinite dignity God has bestowed on us in Christ. We miss out on the flesh-and-blood encounter with the Source of Life, Life incarnate, Life outpoured for eternal life.